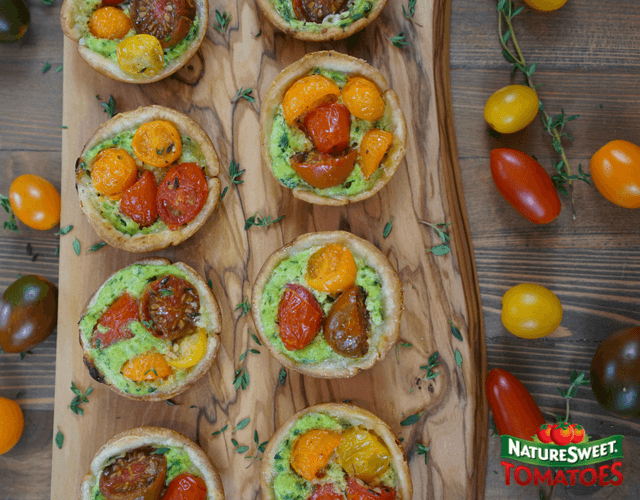 NatureSweet really captures the fun of the holidays with this colorful and delicious recipe perfect for parties and entertaining! 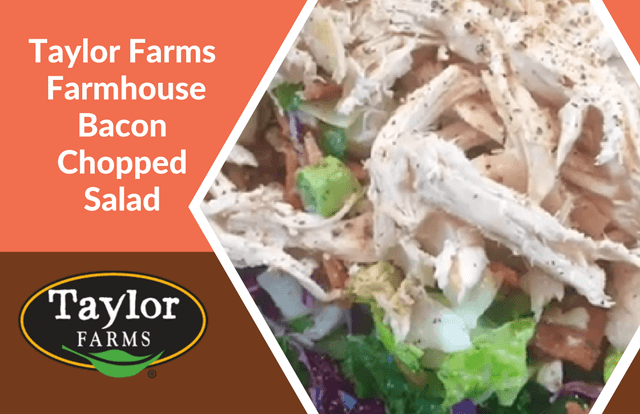 You can always count on Taylor Farms to help you create delicious meals in a pinch! After a busy day everyone wants to know: What's for dinner? 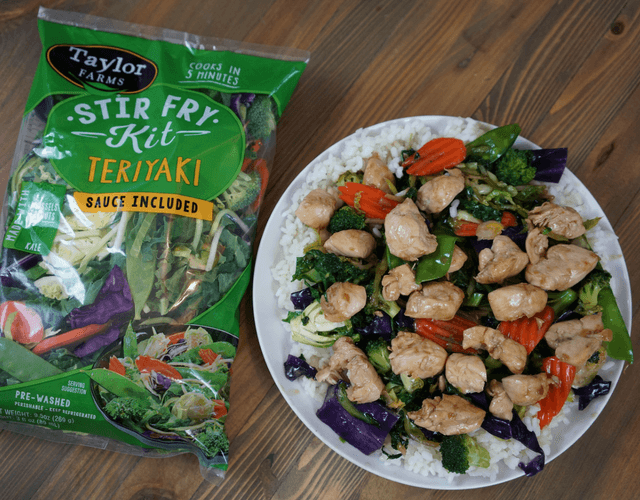 Taylor Farms Stir Fry Kits are the answer! The ingredients are ready to go and it only takes 5 minutes! How easy is that? Avocados - for breakfast! 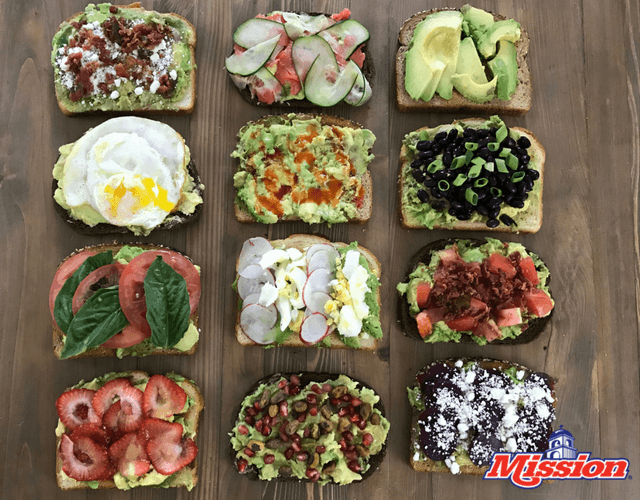 When you combine creamy ripe Mission Avocados with a crunchy breakfast staple like toast, something really good happens! 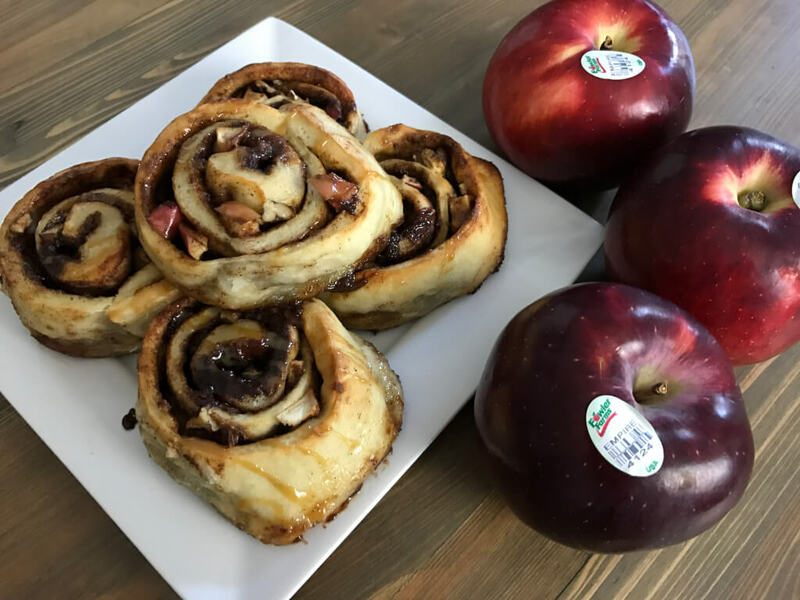 Homemade Apple Cinnamon Rolls with seasonally delicious Fowler Farm Empire Apples! This dessert is warm with spices and sweet with apples and caramel. Oooooh - fried chicken with a twist! Adding a coating with something crunchy, sweet and delicious! Everything comes right in the bag, and we thought we’d add in some extra protein, so we opted on free-range Rotisserie Chicken. Absolutely delicious! 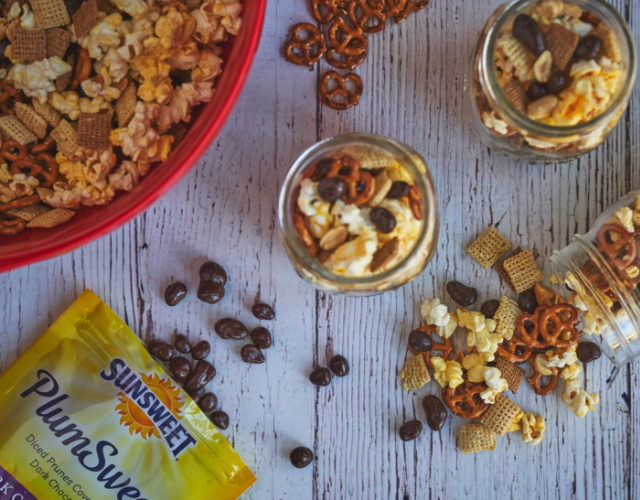 Just look at all of the ingredients that come in the bag - fresh and all done in a snap! Hot, delicious and cheesy! 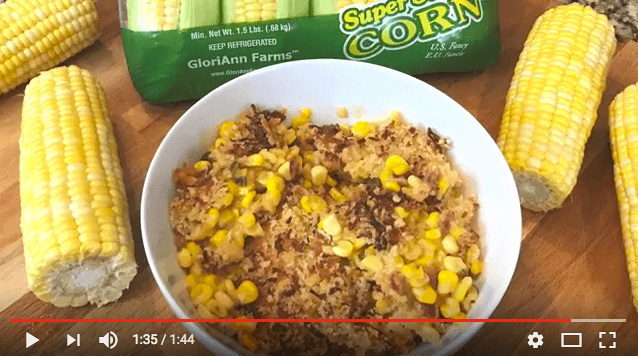 This corn casserole is a must for your fall meals. 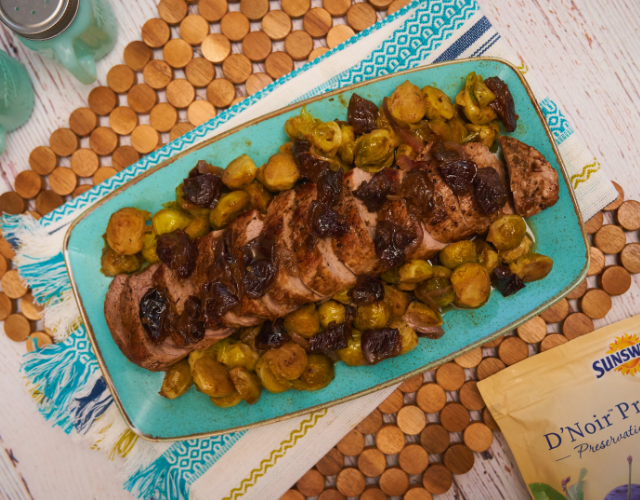 We found out how not only easy this was to make, but it was absolutely divine! A fantastic side dish - or just on its own! Thanksgiving is almost here, and that means turkey - gobble gobble! 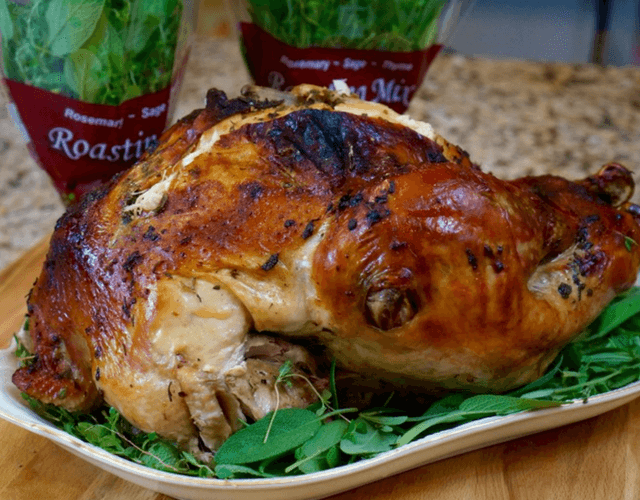 We were thrilled to roast this star of the holiday with a special blend of potted living herbs, which are only available during this special time of year! See what we used to create a mouth-watering turkey and create the savory aromas that will have your family drooling in anticipation! 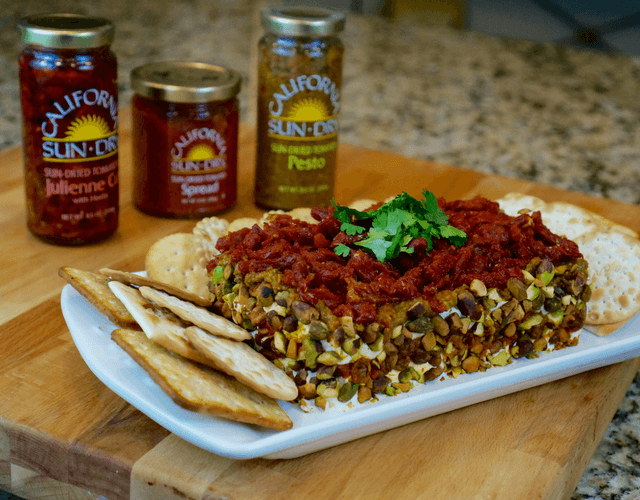 A refreshing alternative to traditional salsa! This tropical Kiwi Salsa can be served as a dip with chips or vegetable slices. 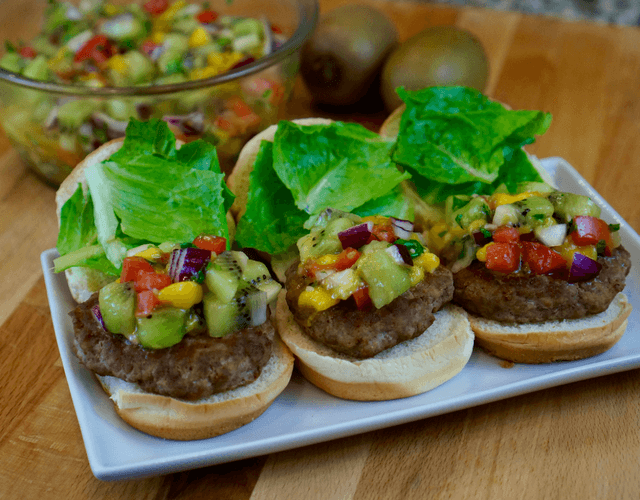 Our Kiwi Salsa is also the perfect pairing to top off grilled fish or lean turkey burgers! Oh, nothing like holiday appetizers for a festive get-together. This is one that we just tested out on our friends and family, and it was a huge hit! Trust us - this is a must! Malt-O-Meal’s hot cereals are packed with nutritional and hearty goodness. 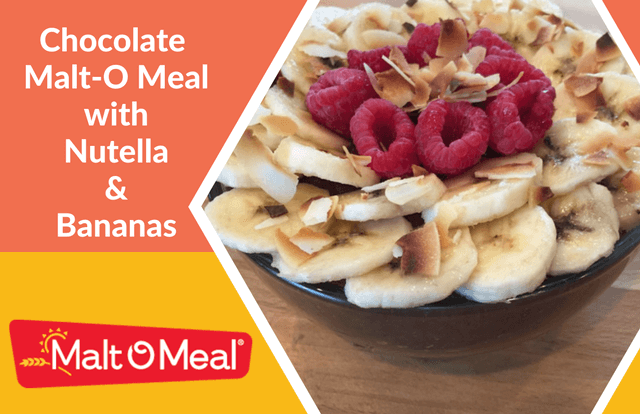 And, with tons of delicious flavors, and a “Taste Guarantee" to boot, Malt-O-Meal is the perfect option for a healthy breakfast. Can't beat this updated chocolaty version with nutella and bananas! 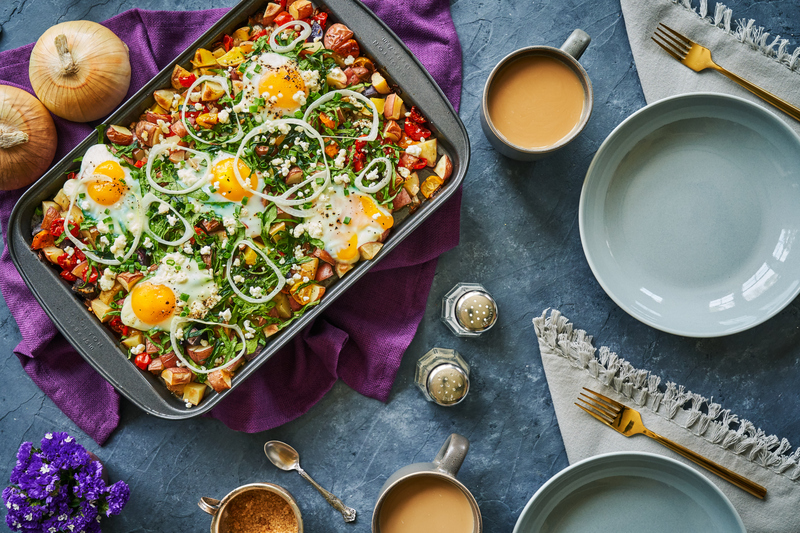 Wow - a classic breakfast is making a comeback! 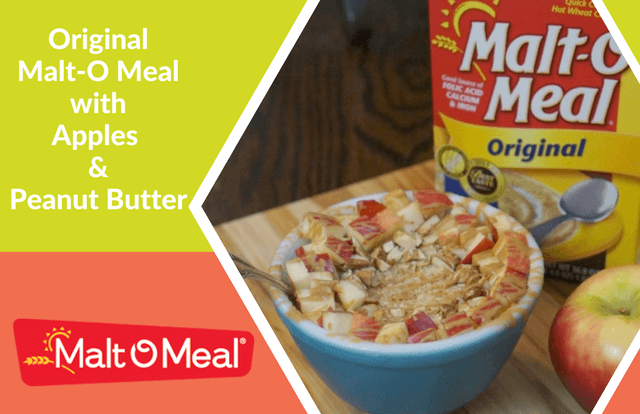 Just voted one of the tastiest hot cereal breakfasts by ChefsBest® and known for its whole grain goodness, try our take on this updated Malt-O Meal original with apples and peanut butter! 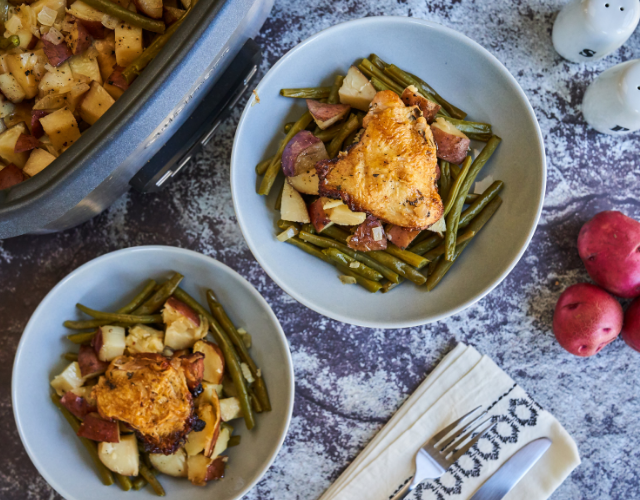 These delicious French green beans are of the utmost quality – they're Southern Selects! 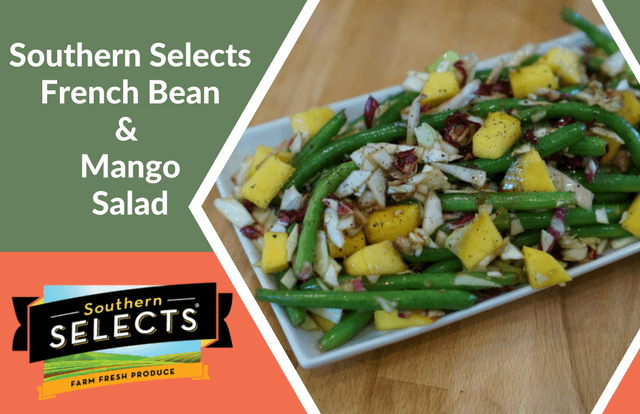 We served them in this delicious, tangy and fresh salad, which we think is a perfect item for you and your family! 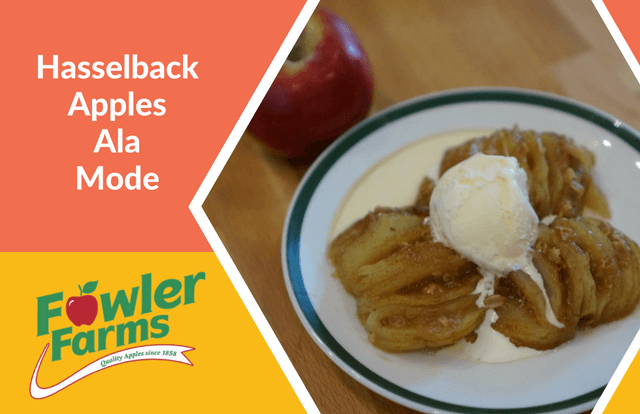 Hasselback Apples ALA Mode is a fabulous fall dessert that is perfect to warm the cool evenings! 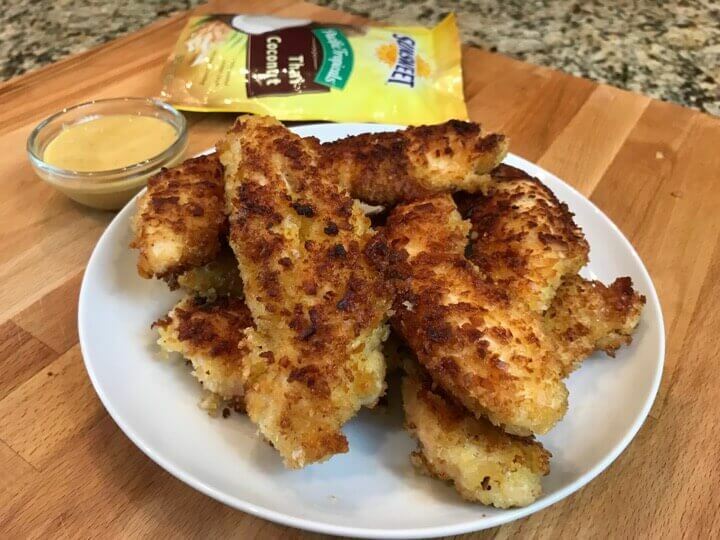 Check out how easy this is to make, and we promise you that it is delicious, too! We couldn't get enough. Want to put a little fire in your fall? 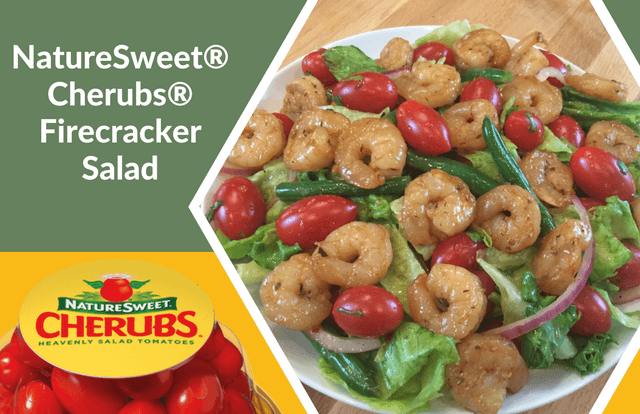 Try this tasty salad that has just the right amount of spice, sizzle and flavor!